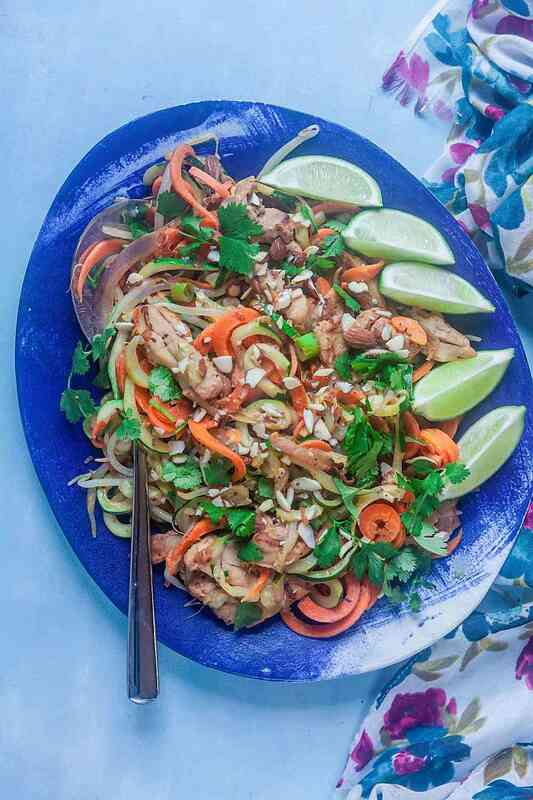 Spiralized Chicken Pad Thai from the Quick and Easy Spiralizer Cookbook (Paleo + Gluten Free) | Healthy. Delicious. Spiralized chicken pad thai, made with a zucchini base instead of rice noodles, is easy to make and full of flavor. It’s a great was to satisfy your Thai food cravings without the carbs! This post was sponsored by Rockridge Press. Keep reading to see my thoughts on their new Quick and Easy Spiralizer Cookbook. Spring is cookbook release season and I’ve gotten few good ones recently. 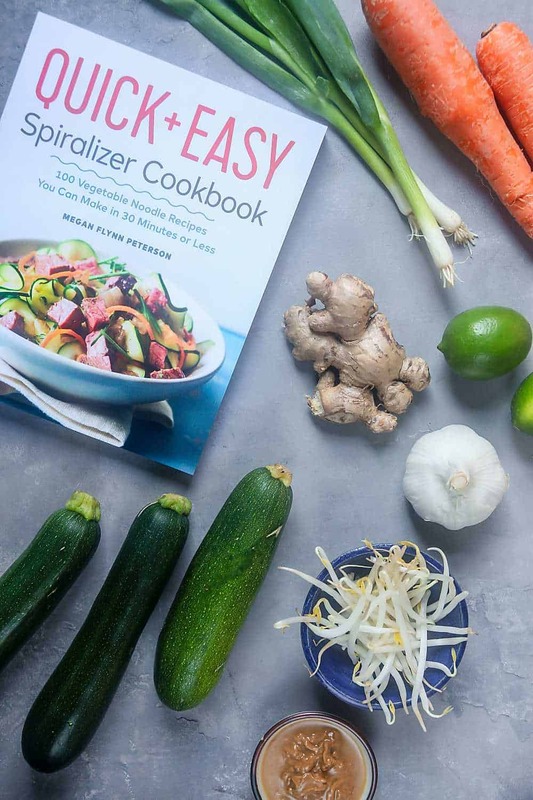 One of the books I’m most excited about is the Quick and Easy Spiralizer Cookbook by Megan Flynn Peterson. I love veggie noodles, so I couldn’t wait to cook from this book! There’s just something about cutting vegetables into fun shapes that makes them taste so much better. I flipped through the book and was immediately drawn to the chicken pad thai recipe made with zoodles and spiralized carrots. 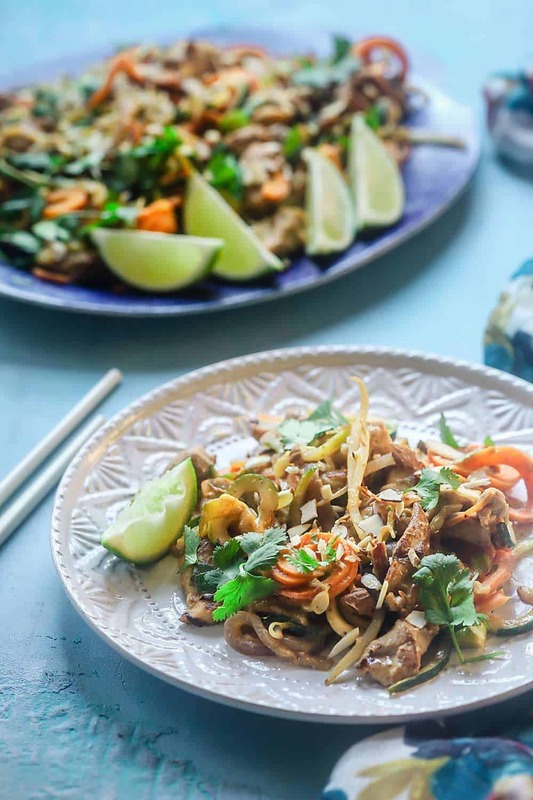 I’d been craving pad thai, and this paleo version looked like it would do the trick. As promised, the pad thai was ready in 30 minutes and used basic ingredients that were easy to find at a typical grocery store. It was a tasty tangle of noodles coated in a bright, creamy almond butter sauce and topped with crushed nuts and cilantro. There unfortunately wasn’t any tamarind to give it a traditional pad thai flavor – but then again, I have no idea where I’d even find tamarind if the recipe did call for it – but it definitely satisfied my craving for Thai food. The recipe also made a ton – the book indicated that it would serve 2-4, but I think it would easily serve 4-6. That meant I had plenty of leftovers for lunch, which is always really nice. 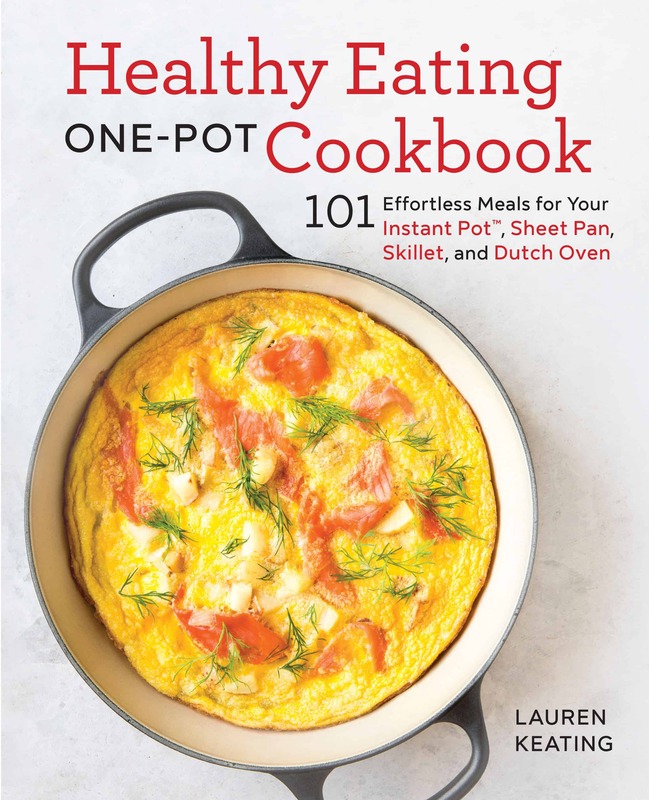 The cookbook has over 100 easy prep, one pan recipes that are ready in 30 minutes or less – it’s awesome for healthy weeknight recipes or meal prep lunches. I especially love that the recipes are tagged based on popular diets like paleo, keto, vegan, and vegetarian. There’s definitely something in here for everyone, and the neat organization makes it easy to find a recipe that fits your lifestyle. The book is concise, with a short introduction that doesn’t waste any time before jumping straight into the recipe. It covers the basics of spiralizing, a primer on different types or spiralizers and their advantages, plus a few tips on how to prepare different veggies for the best results. The recipes themselves are fresh and creative, ranging from traditional favorites like this chicken pad thai and cacio e pepe to more unique meals like cucumber noodle salad with watermelon and feta (I’m making that one ASAP! ), spiralized potato crust pizza, and chicken pot pie with a super fun spiralized topping. If you’re looking for a fun way to add more vegetables into your day, this book will definitely give you some great ideas. Check it out on Amazon! Pad Thai is one of my all-time favorite dishes, and it’s super easy to make at home with veggies instead of traditional rice noodles. 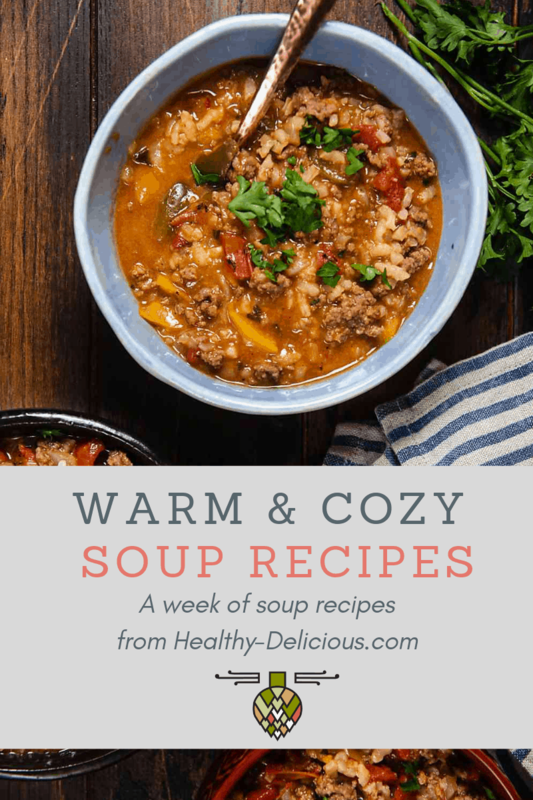 I’ve found through experimenting with veggies and limiting grains that as long as the flavor of something is good, you really won’t miss the carbs, and this recipe is definitely a perfect example of that! In a large skillet over medium heat, heat the oil. Add the onion, ginger, and garlic, and stir. Cook for about 5 minutes until the onion is tender, stirring frequently. Add the chicken and cook for an additional 5 minutes. Add the lime juice, peanut butter, soy sauce, and fish sauce. Add the zucchini and carrot noodles to the sauce, and cook for 4 to 5 minutes until fork-tender. Add the bean sprouts and scallions, and cook for an additional 2 to 3 minutes. Remove from the heat, top with the crushed peanuts, season with salt and pepper, and serve with a wedge of lime and cilantro. soy sauce and look for natural fish sauce without added sugar.